Double happiness! Lun Lun, Atlanta's most beloved panda gives birth to twin cubs. The cubs are the fourth and fifth giant pandas born at Zoo Atlanta. 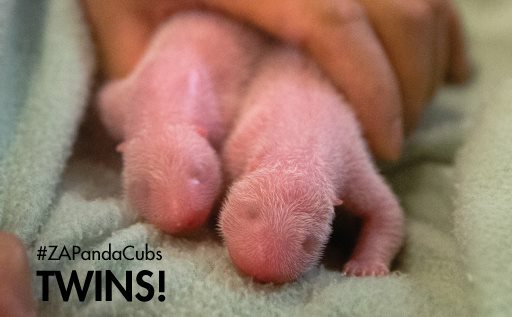 The cubs are the first to be born in the US in 26 years. 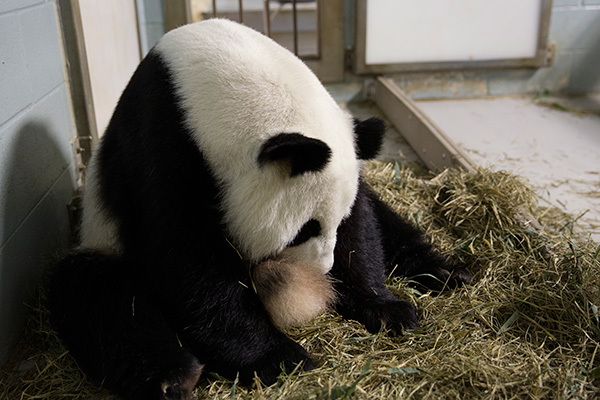 The first cub, Mei Lan, was born in September 2006. Fewer than 1,600 giant pandas are believed to remain in the wild, where funds from Zoo Atlanta are used to support giant pandas living in eight different nature reserves in China. Follow the cubs’ milestones on PandaCam presented by EarthCam on zooatlanta.org/pandacam and on Facebook, Twitter, Google+ and Instagram. Panda fans now also have the opportunity to subscribe to exclusive email content via the new Cub Confidential; subscribe on the PandaCam page on www.zooatlanta.org.